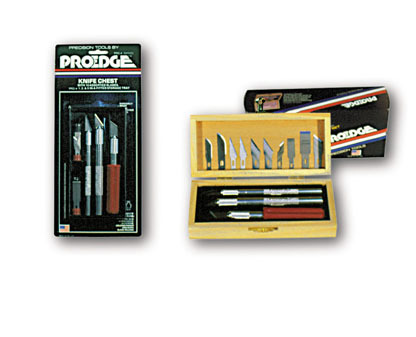 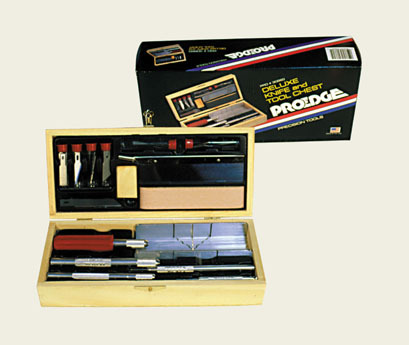 PRO #30870 MINIATURE FURNITURE HOBBY SET. 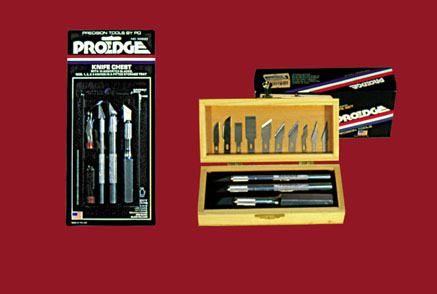 Consisting of PRO #1 precision duty knife handle, 1 PRO #5 heavy duty handle, 1 pinvise with 4 interchangeable chucks, drills and extra blades, self-closing tweezers, standard jewelers screwdriver, phillips head jewelers screwdriver, mitre box, razor saw, sanding block, large clamp, small clamp. 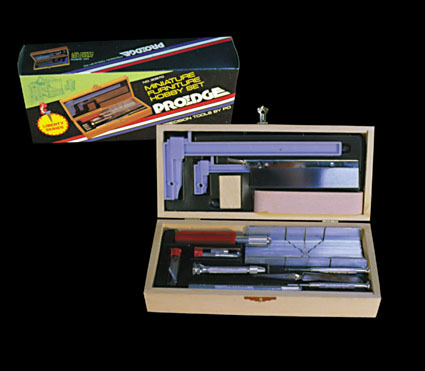 All in an attractive wooden Box.